Weathervanes can add a touch of class and whimsy wherever they are located, but are out in the open and could be damaged by high winds if mounted improperly. 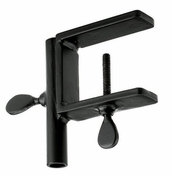 Ensure your weathervane will last by installing it with the right kind of hardware. Weathervanes do more than tell you which way the wind is blowing. They can also share your personal style and loves – from an American flag and the more traditional rooster, to martini glasses and motorcycles, our weathervanes and matching hardware give you plenty of options to communicate your interests in a fun and fanciful way. Create just the right look for your home or other buildings with weathervanes mounted on sturdy and color-coordinated weathervane hardware. Post mount used to display Good Directions Standard Size weathervanes. 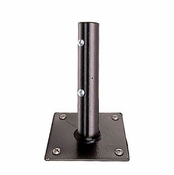 May be used on a posts, deck rails and flat roofs. Dimensions 3"L x 3"W x 5"H.
Base plate has 4 pre-drilled holes in each corner. Vertical tube fits up to a 3/4" rod. Dimensions: 3"L x 3"W x 5"H.
A perfect way to display your Good Directions Standard Size Weathervane from a flat surface. Mantel base meant for use with weathervanes with a 1/2" rod. Mantel base meant for use with weathervanes with a 11/32" rod, including Garden, Cottage and most standard size weathervanes. 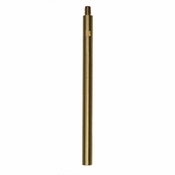 Add ambiance to a lawn, deck or patio with our beautiful yard and Garden Torches. A stylish way to create mood lighting and keep insects ion check. 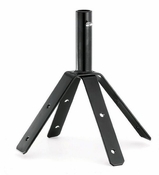 Use our Deck Mount to attached our Yard and Garden Torches to the deck for a dramatic effect. 43" above ground when installed. 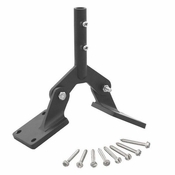 Ridge Vent Adjustable Roof Mount allows for up to 6 additional inches in height to the 401AL.